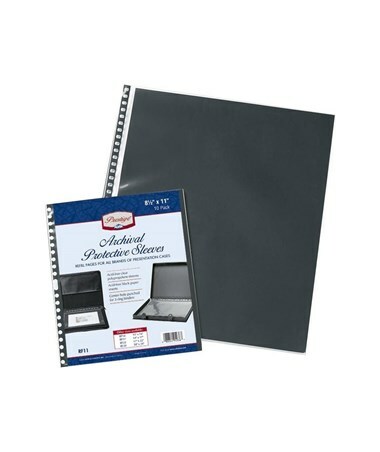 The Prestige Archival Protective Sleeve is an ideal tool designed for displaying and storing of documents with standard size or in large format. Excellent for presentation, it offers a wide variety of sizes ranging from 8 ½"W x 11"L up to 18"W x 24"L The opening edge is located in the smaller dimension while the holes are punched along the longer dimension. These universal holes fit all presentation cases. 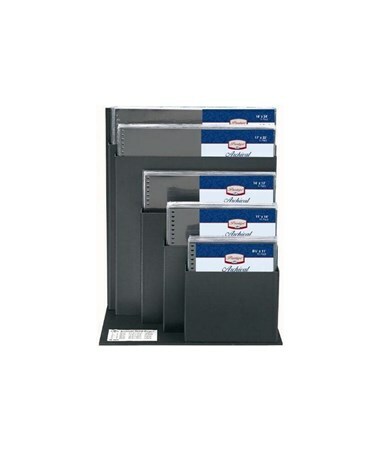 The 8 ½"W x 11"L size is center-hole punched to suit standard three-ring binders. 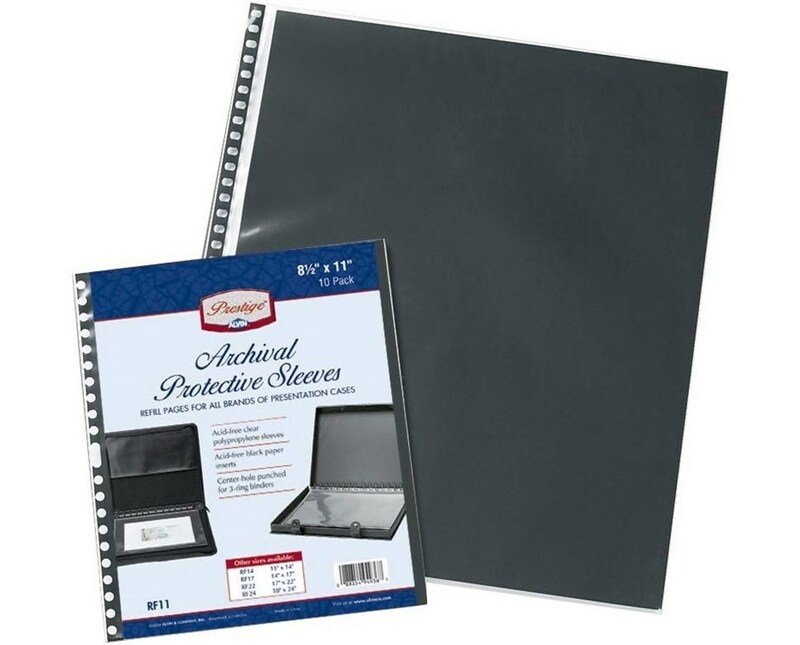 The Prestige Archival Protective Sleeve is made of acid-free polypropylene material and includes acid-free black paper inserts. It is archival quality and protects any document for a long period of time. It is available in five-piece or ten-piece pack to accommodate most display and storage applications. 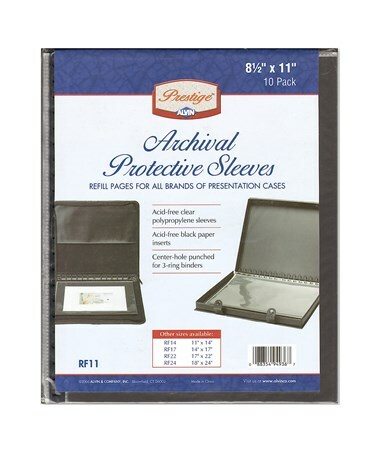 The Prestige Archival Protective Sleeve comes in six different sizes to suit various storage needs. Please select your preference from the menu above.